How To Make Your Work Boots Last Longer Than Usual? Generally, good protective boots come with a hefty price tag and like any other expensive purchase, your work boots also need extensive care and maintenance. This post is intended to teach you some of the great ways to look after your safety shoes and help make them last longer than usual. How Often Should You Replace your Boots? The answer to ‘How long should a pair of safety boots last’ depends on myriad of factors including its quality, how frequently you wear them on worksites or the nature of work you’re involved in. Due to these factors, this question cannot actually have a single conclusive answer. According to the selection and user guide for protective footwear provided by the National safety Council, one should immediately replace work boots if there’s sign of any physical damage to the toe area. 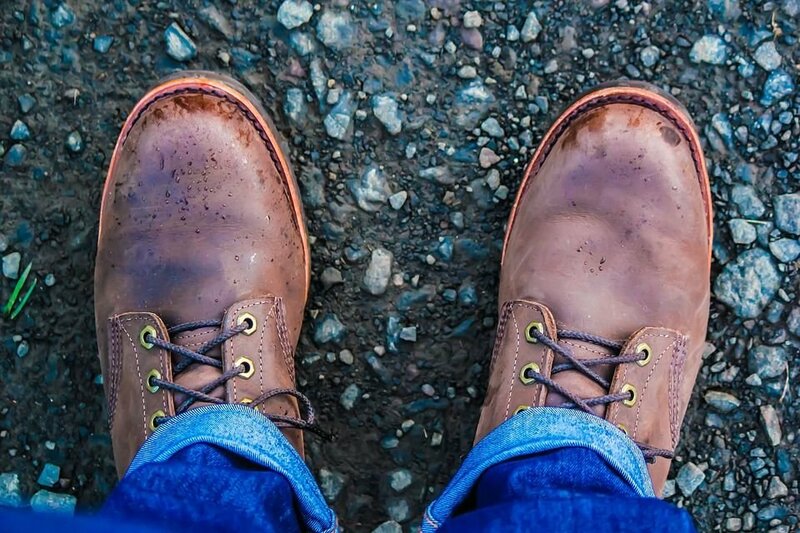 According to gearhungry.com, if you feel lack of traction, leakage or sagging, its right time you should replace your work boots. How to Extend the Life of Your Work Boots? Even though the most protective work boots can become glitched with time, you should never compromise on quality while purchasing work boots for yourself. Look for options with leather used as an outer material as it maintains air circulation around your feet. Similarly, select soft insoles preferably made of absorbent materials to keep your feet relaxed and dry. The more often you use your work shoes, the dirtier they will become. Try to highlight the stains, so you can handle them accordingly. For instance, you can use a soft plastic brush to get rid of mud and soil while basic stains can be well-treated with soapy water. Similarly, you can use coconut oil to get hold of scratches. Don’t forget to apply leather conditioner in the end to preserve your safety boots with additional protective coating. Boot covers as it name implies give your boots additional covering and protection. If you work under extreme conditions such as construction sites, contracting business or other house or industrial settings, you should invest in a pair of right boot covers. There are many alternatives available including disposable covers and neoprene-crafted reusable work boot covers. There are many advantages of wearing neoprene boot covers. First, they come with a slip-resistant feature which is great if you work on water-exposed surfaces. Second, they seamlessly slip over your boots and provide impeccable support and comfort. Lastly, these covers are washable and reusable and you can use them as many times as you want. The perfect place to store your boots should have a moderate, moisture-less temperature. Ideally, you should place your work boots in a cool place with proper airflow. To avoid leather deterioration, make sure not to place your boots in closed (air-tight) boxes. Also, do not place your shoes in front of heaters or air conditioners as extreme temperatures can cause damage to the outer material.